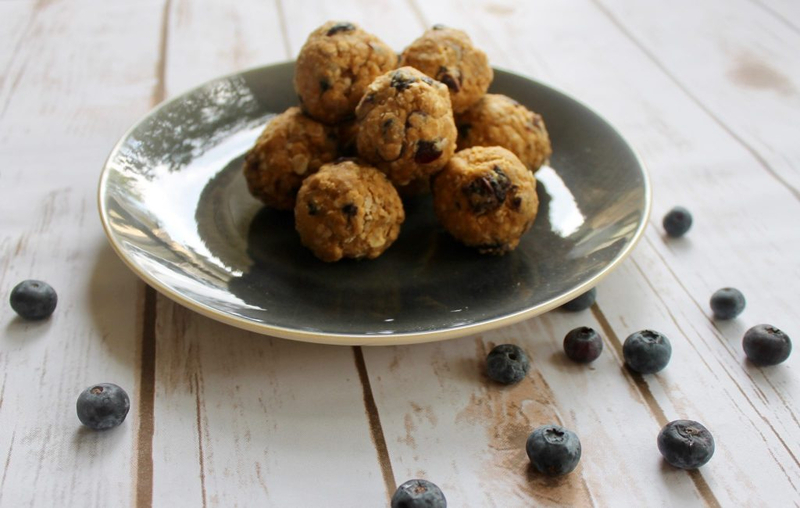 Blueberry Energy Balls | Got Milk? In a medium bowl, add all the ingredients and stir until thick. Refrigerate mixture for at least 30 minutes. Use a spoon to scoop about a tablespoon of the mixture into your hand and roll into a ball. Repeat with remaining mixture. Use the coconut oil on hands to prevent sticking. Serve and enjoy with a glass of milk! Recipe by celebrity chef Liz Milian from E!’s “Christina Milian Turned Up"
Copyright © California Milk Processor Board.